d+a Magazine, a leading design and architecture publication, reviewed the redesign of Moshe Harel’s iconic building in the Weizmann Institute. Mochly-Eldar Architects led the refurbishing of the building to the institute’s new programmatic needs. The redesign, which sought to remain in keeping with the original, includes new cutting-edge materials, renovation of the facade, and enlarging openings to increase daylight efficiency. Laboratories were entirely redesigned to meet the institute’s contemporary standards. 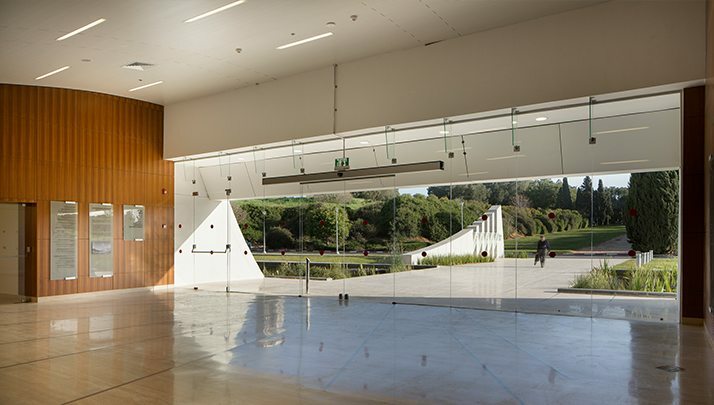 A new large entrance invites visitors in and allows the landscape to seep into the building.